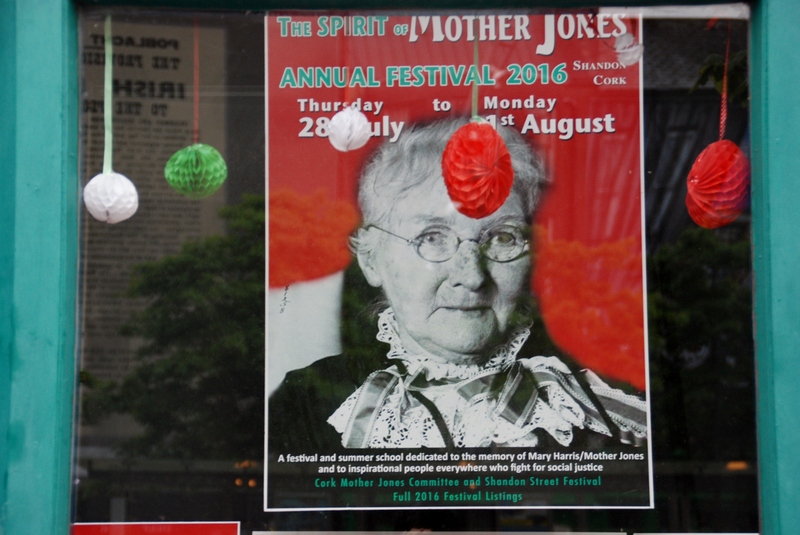 Mother Jones has arrived back in the window of Cork’s main tourist office to highlight the fact that the Spirit of Mother Jones Festival starts this Thursday (28th July). 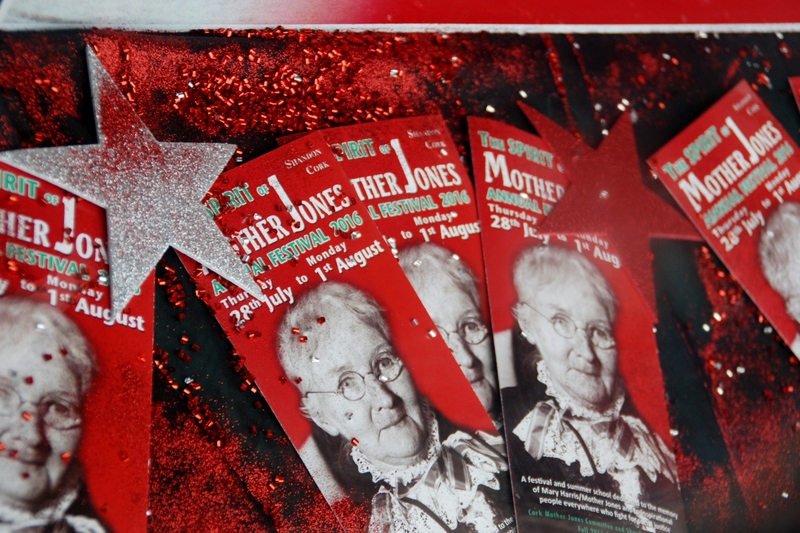 The display, put together by Cork Mother Jones committee member Ann Piggott, is both eye-catching and excellently laid out. 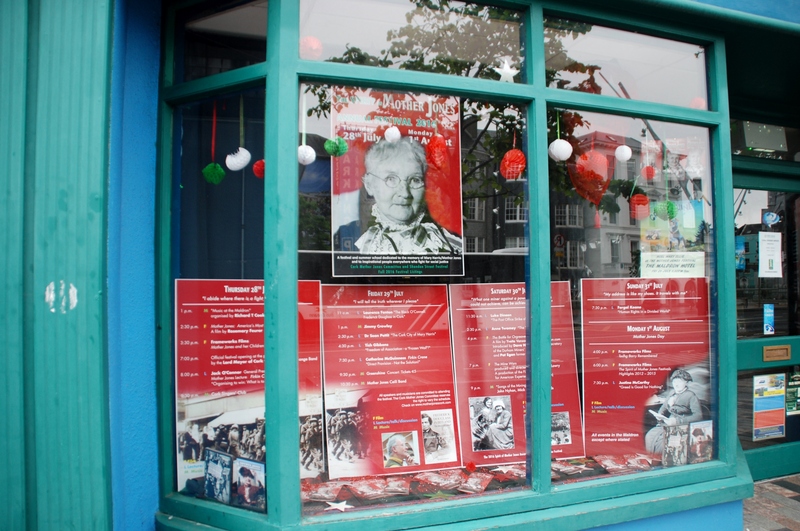 Our thanks to Ann for a job well done and to the staff and management of Cork Tourist Office and Fáilte Ireland. The display will remain all this week.